Russian Napoleon with Pastry Cream - Let the Baking Begin! 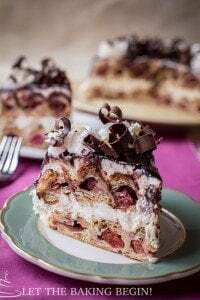 If you’re looking for a simpler version of the famous “Napoleon” cake, look no further. 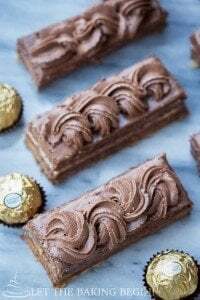 This cake uses store-bought puff pastry, so the only thing that’s left for you to do is bake the layers and make the cream. This is not the French version of the Napoleon where the puff pastry layers are meant to stay crispy. 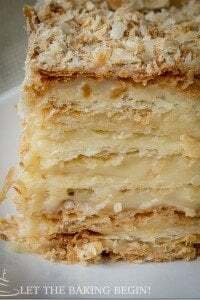 Instead, the Russian Napoleon cake is made by allowing the puff pastry layers soften over a couple of days with the cream until you can use a spoon to glide through the layers. It’s a different approach to the classic Napoleon, but very well-loved by everyone and anyone who tries it! For the cake pictured above, I used 6 of the store-bought Peppridge farm puff pastry sheets . I let them thaw at room temperature for about 30 minutes before unfolding them. Once I unfolded them, slightly stretched them on floured surface, pricked with a fork all over & baked at 400F until puffed up and golden in color. 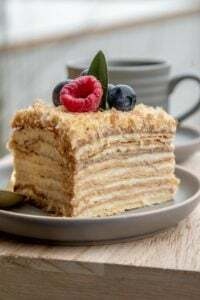 If you like your cake layers crispy, do not let the cake sit at room temperature once frosted, but quickly transfer to the fridge. 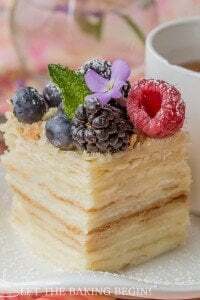 If you like your cake layers soft and moist like they’re meant to be in the Russian Napoleon, roll out the cake layers even larger than 16×16 (as thin as you can), then once frosted leave for as long as you feel is safe before taking to the fridge. This will allow the cake to absorb the frosting, making it soft and moist. Caramel Flan Recipe – A creamy custard dessert. Peanut Meringue – Meringues with a chocolate caramel sauce. Apple and Pear Tart – Simple tart with apples and pears. Once the puff pastry sheets have thawed, slightly stretch the dough on lightly floured surface, until about 16x16 inches. Prick the dough with a fork, about every 1 inch and bake on a baking sheet until the sheets are slightly golden brown. Remove from the oven, allow to cool. Repeat with the rest of the sheets. Once the cake layers are baked trim the edges of the sheets so they’re all even and the same in size. Save the scraps. Pour milk into heavy bottomed pot and set over medium heat. Split vanilla beans, scrape out the seeds and add to the milk. Bring to boiling point. While the milk is heating (keep close eye on it), in a large bowl whisk together starch, sugar and salt. Add 1 egg at a time and continue whisking until homogenous. Once milk has come to a rolling boil, add 1/3 of the milk mixture into the egg mixture continuously whisking. This will temper the eggs and prevent them from cooking. Pour the tempered egg mixture back into the rest of the milk (in the pot) and cook constantly stirring, until it comes to a boil. Once boiling cook for 1-2 minutes until the mixture thickens and the raw starch flavor disappears. Do not overcook or it will become thin again. Transfer pastry cream into a bowl, add the butter (it will melt) cover with plastic wrap (touching the surface of the pastry cream) and let the pastry cream come to room temperature. When no longer warm, whip together with mixer until smooth. Transfer to fridge and allow to completely cool. *If pastry cream is not smooth, run it through a sieve while still hot. Dissolve gelatin in 1/2 cup cold water. 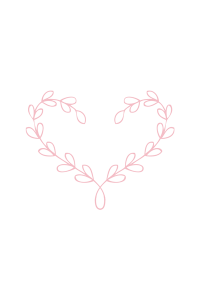 Allow to bloom for 2-3 minutes, then heat until gelatin is dissolved (do not boil). Add simple syrup into the dissolved gelatin mixture. Stir to combine. Allow the glaze to cool down and slightly thicken before applying (if the mixture has thickened too much, heat slightly). Place a dab of frosting on serving tray. Put 1st cake layer on top and press to adhere. Put 1/5th of the frosting onto the cake sheet and spread around. Top with the second cake sheet and again top with pastry. Continue until all layers are frosted. Cover the whole cake in the pastry cream. Crush saved scraps of puff pastry. Cover the sides of the cake in the cake scraps (this keeps the cake from drying out). Arrange strawberry slices on top of the cake. Using a pastry brush, apply the mirror glaze on top of the strawberries. Leave the cake at room temperature for 3-4 hours, then transfer to fridge and allow to sit for 24 hours before serving. Hi! Steps 8 and 9 both say add butter. How much in each step?? Thanks for catching that! I added instructions in step 9.